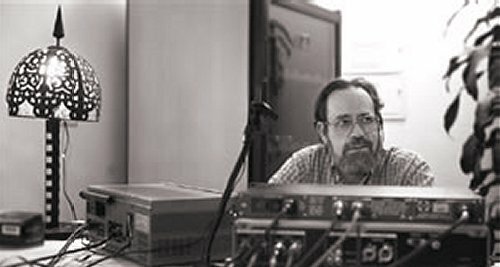 Spanish independent classical label Enchiriadis has a tribute on its website to tonmeister Antonio Palomares y Montes who died in July 2009 aged 65. Antonio , seen above, worked on many of the label's releases. There are only twenty-seven titles in the Enchiriadis catalogue and it is one of the few labels whose new releases can be bought unauditioned, everyone is a gem musically, technically and visually. Much of the credit for this goes to Antonio for it was not only in the technical domain that he excelled, he was also deeply interested in the visual arts and his photographs were used on many of the label's releases. The photo above was taken at the sessions for Enchiriadis' first and probably most celebrated release, Cristóbal de Morales' Requiem performed by Musica Ficta using five young voices directed by Raúl Mallavibarrena. 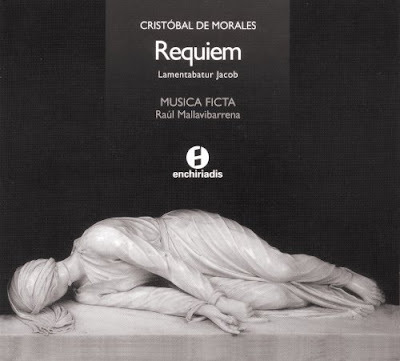 For me this is still the finest account on disc (this notwithstanding) of this sublime work, despite stiff competition from Jordi Savall (two versions), Paul McCreesh and others. 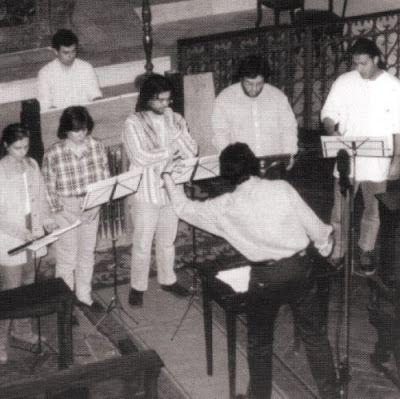 The Enchiriadis recording was engineered by Antonio Palomares and José Carlos Cabello (more Spanish early music skullduggery here) in the Capilla de la Esperanza, Barcelona and Antonio also took the photo above and the cover image seen below. A Zen master once said: 'Final job of teacher: free student of teacher.' In the same way it is the job of a good recording engineer to free the listener of any awareness of the considerable amount of technology and compromise that sits between the performers in the recording studio and the listener in their home. Antonio Palomares was one of the rare breed of engineers who made the recording process inaudible. He is sorely missed. Saturday's Guardian had an interview with Manfred Eicher titled The Sound Man, while there is an interesting link from Cristóbal de Morales to contemporary music here.